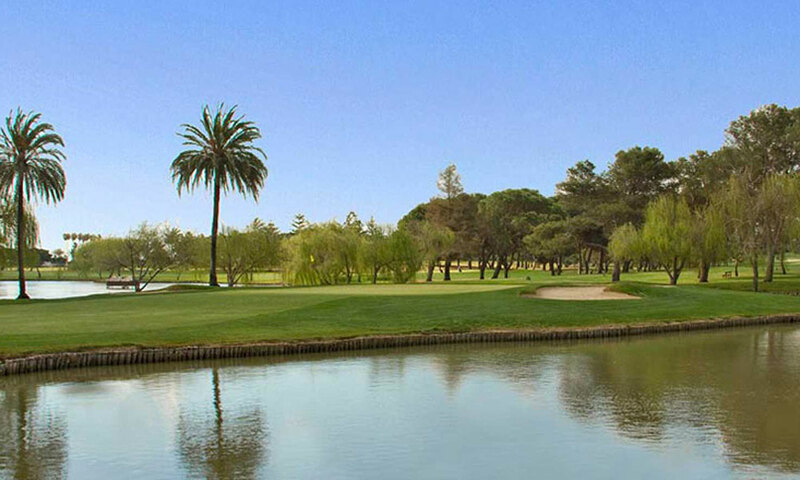 Officially opened in 1964 Sotogrande was the first course Trent Jones designed in Europe and is blessed with his design philosophy, which consists of building courses perfectly integrated with the natural surroundings which are a great challenge to the better players, but accessible and enjoyable for everyone. It offers long tees, wide fairways and elevated greens delicately moulded and very fast, which embody the biggest difficulty of the course. The variety of holes is another characteristic of Sotogrande, variety not only in shape and distances but in its vegetation: the mixture of cork oaks, pine trees, palm trees and an abundance of other species, provide the course with a wonderful personality and beauty.